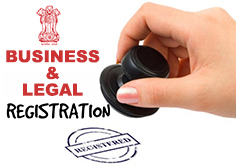 Get in touch with us and acquire professional solution for Indian Subsidiary Registration related matters. At VMR & Company (Chartered Accountants), we have a group of professionals, who are entrusted to coordinate with clients and provide solutions keeping clients’ functional and other requirements in mind. Besides, we assist our worthy patrons in completing the legal procedure and related documents. We are operating from Delhi, India; clients are free to approach for further discussion.